A range of quality designer made original hand knitted headwear. 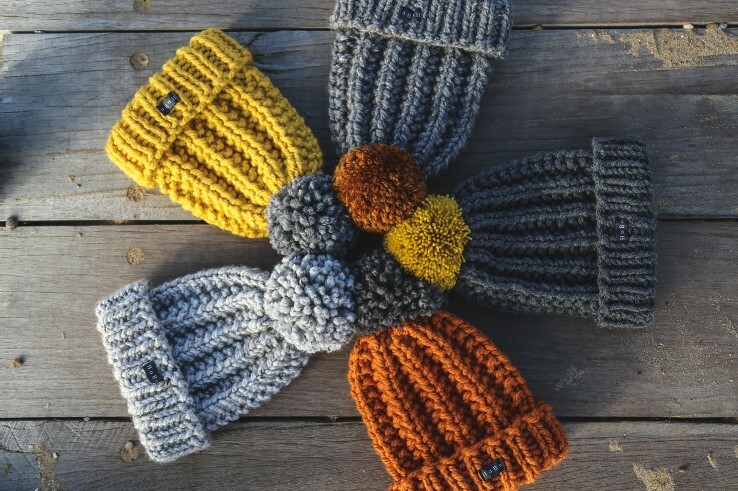 Earthy, stylishly simple chunky knit bespoke handmade bobble hats, beanies and earwarmers for men, women and kids - For lovers of outdoor life. Everything from design, to hand knitting and finishing is carried out by me in my studio in Leigh-on-Sea, England using traditional tools and techniques. All items can be customised on request - size, colour and pom pom. Pom poms are removable so you can choose extra colours or wear without. Thank you for visiting HoBo Handmade - Be warm, look cool!